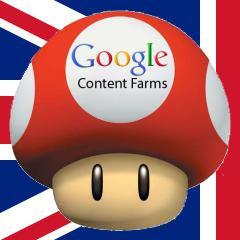 Many Webmasters and site owners are suffering with the Google Farmer / Panda update in the Google.com, Google U.S., results. But soon, the Farmer/Panda update will be rolling out more widely beyond the U.S. to the U.K. and other countries. Well, it was expected to have happened already. I'd be surprised if it did not happen this week. But at the same time, I'd be surprised if it did roll out more without the U.S. version getting updated. Late last week, a WebmasterWorld thread had some webmasters who watch the UK Google results seeing signs of the Farmer / Panda update rolling out. A day later, the chatter around that discussion died out. I thought maybe there was a roll out but maybe Google seeded some tests and pulled it back early on? I am not sure. Like I said, I suspect the U.K. to see the Farmer/Panda algorithm this week but I also suspect that this update not be released until Google releases an updated version in the U.S.